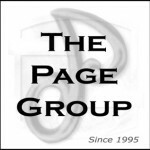 At the Page Group we constantly work with clients on this core issue. You cannot develop a marketing plan, brand plan, or any go to market strategy without first understanding your consumer and the customers path to purchase. You always need to understand the connecting points that connect you with your consumers and build tools that enhance that connection with them by delivering thru that connection a better experience, and relevant information, that the consumer needs. Failure to do so might cause that consumer to look elsewhere for the experience they want to have in buying your goods, products, or services. Be careful though and truly understand the connection that the consumer wants to have with the products and services that they buy…knowing this will put you in front of others in your competitive landscape. Regardless of your industry, today’s tech-enabled, multidevice, omnichannel, algorithm-enhanced world is changing the journey by which customers come to you. If you don’t know your customers path to purchase , it’s practically guaranteed your marketing is both inefficient and underperforming. Aided by today’s data and technology, a competitor can pre-empt your brand from the consideration set even before your customer’s path to purchase begins. In recent discussions with marketers of major brands, I’ve been shocked at how many confess to not plotting their customer’s journey. In a world where your business can be disrupted overnight, you need to know where you’re vulnerable. After all, what is marketing’s purpose but to align where you leverage your marketing dollars so as to be at the best time and place for effect, with the most persuasive message for the situation the prospective buyer is in at that moment? What’s surprising is that so few brands have current information on their customers’ path to purchase (P2P)–and that so many marketing, advertising, PR, media, social, and e-commerce professionals don’t have much of a competency in how to research, track, or model the psychological or behavioral journey of their targets. This is why so many new product launches fail and so many campaigns underperform. This is also why so many brands will be disrupted in the next year by competitors that are actively researching, visually mapping, and acting on what they discover. That knowledge enables them to know where they have to be, when, and with what message. And, increasingly, it will enable them to personalize the media mix and messaging for each person, making their marketing far more resonant and effective. Even more concerning is this realization: Aided by today’s data and technology, a competitor can pre-empt your brand from the consideration set even before your customers’ path to purchase begins. That’s because predictive algorithms can be used to direct what people see, read, and hear, when, where, and on what device. And as predictive search and programmatic buying become even more common, your customers can be hijacked overnight by competitors using increasingly sophisticated techniques. A marketer’s only defense is a strong offense. Yet at a time when it’s critical that marketers know how to identify, model, and optimize a target’s path to purchase, few do it well. And many don’t do it at all. In recent discussions with marketers of major brands, I’ve been shocked at how many confess to not plotting their customers’ journey. Some say they have but it was years ago, with products or services they no longer offer. Some admit it was long before their own e-commerce efforts. Intellectually we all know that influencers of the path to purchase today include the likes of Instagram, Internet radio, email, gaming, pop-up stores, celebrity bloggers, and phenomenon like Awesomeness TV. But who could have predicted that a brand like Intuit would be among those trying to affect consumers’ consideration sets with Pinterest? Including so many new possibilities in a P2P model is a challenge. Even if there were easy and inexpensive ways to convert what a marketer is using now as a model, many companies are loath to give up the historical data (with its presumed risk mitigation) that come with modeling they’ve used for years. But they have no choice but to change. It’s not just that their data-gathering does not reflect today. It’s that it doesn’t account for the customer journey in real time, so as to take advantage of optimizing one’s situation in today’s speed-of-light marketplace. And another thing old models don’t do: make their insights more meaningful and actionable with informatics. As damning as the circumstances seem, the solution is clear: Any marketer worth his salt today will immediately undertake an effort to double check the path of his current and future customer. And even those confident of their competency in P2P should immediately make the time to examine if they are truly on top of things today because so much on the customers’ path is changing every year. Here’s one way to get truly get your head around it: Ask what, if any, recent information about P2P currently exists for your brand? If you’re unaware of any in your department, where else in the company might information reside? Sales? E-commerce or content marketing? Your trade show team? In filling out the above, you’ll find it extremely helpful to ask 10 of your colleagues for their input on each axis. Or ask 10 of your current users or channel partners. The result will not be scientific, but it is guaranteed to open your eyes. For example, one marketer I know was shocked to realize the degree to which Ebay played a role in the customer’s journey. You, too, will find armchair research can illustrate where you’ve been way off. It will also provide you some good hypotheses for more serious research and tracking. In addition, you could come face to face with what may be new ways to group the types of people in the market for what you’re selling. And despite their differences, what you’ll want to be looking for are common behavioral patterns, any insights that would dramatically help you maximize reach, and where it seems you’re vulnerable to any group falling off the path to purchase. In your search for insights with the map you’ve just created, you’ll also want to do this: Put the items on your vertical access into three camps: paid media, owned media, and earned media. What do you see? While trying to map your current and future customers’ journey may seem like one more task to do in your already overloaded life, the truth is there’s no better way to get your head around the errors in what you thought you knew, the kinds of questions you should now be asking, and the kind of data and models you should now be shopping for. But before you engage any one of them, go back and, best you can, do all the above one more time, examining your current and likely future competitors. Because in a world where your business can be disrupted overnight, you need to know where you’re vulnerable—and, better yet, where you can disrupt others before they disrupt you. Marsha Lindsay is CEO of Lindsay, Stone & Briggs, an agency that specializes in growing brands through new positionings, new products, and innovations.